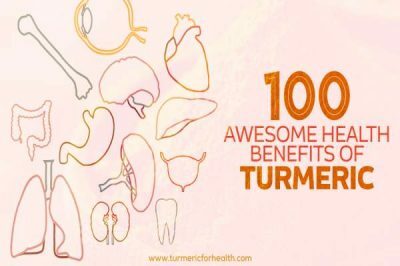 How to identify good organic turmeric? If you are a regular reader of this blog, you would already know that turmeric or curcuma longa has been used as a spice for centuries in Asian cuisine and is widely cultivated in India. Curcumin and other curcuminoids ( a key which are chemical compounds in turmeric) offer numerous health benefits (Here is a comprehensive list of turmeric benefits>) since they are a powerful antioxidant, anti-inflammatory, antiseptic, anti-fungal, anti-bacterial agents. It is a popular ingredient in Ayurvedic medicine. Today, turmeric supplements are also available. They are generally available as capsules, tincture or liquid extracts. Before I discuss how turmeric and black pepper combo is awesome, let me talk a bit about black pepper too. Peppercorns which are got from the piper nigrum evergreen vine give us black, green and white peppercorns. To make black pepper, the peppercorns must be plucked just before ripening, left to ferment and then dried until they shrivel and turn black. Most of the world’s supply of black pepper comes from India. Apart from being used to season food, black pepper is also used for medicinal purposes. Health benefits of any food or herb are based on its key active ingredients. Piperine is the key chemical in black pepper. It is similar to capsaicin a chemical in chili and offers many health benefits. Curcumin which is a polyphenol plays the same role in turmeric. One important question which must be popping in your mind right now would be why among so many spices are we talking about black pepper? The answer is really interesting too. One problem with curcumin is its low levels of bioavailability. Most of the curcumin that is ingested gets metabolized before it can get absorbed. Piperine is said to help make curcumin more bioavailable. This could be because it could inhibit certain intestinal digestive enzymes. This increases the amount of any drug or supplement that can be absorbed by the body. They also do not get degraded quickly. Hence, there are studies to test if co-administering curcumin with piperine could improve the bioavailability of the former. These studies have been conducted on humans and laboratory animals. One study found that when even 2g of curcumin was ingested, its serum levels were very low. However, when 20mg piperine was added to curcumin the bioavailability increased by 2000%. The bioavailability, serum levels and levels of absorption of curcumin all improved dramatically. What it means: Thus, if one takes turmeric, most of it is unutilized unless supplemented by addons such as black pepper. Piperine in black pepper can trigger TRPV1 (transient receptor potential vanilloid type-1) in the body. This triggering can reduce pain. Piperine is also used as an analgesic cream that can be applied topically to the skin to relieve pain. Some studies have focused on using piperine as a new way to kill chronic pain – especially neuropathic pain which is untreatable. Curcumin has been studied for its anti-inflammatory capabilities especially in the treatment of rheumatoid arthritis, ulcerative colitis, and other inflammatory conditions. Laboratory studies were conducted on the way curcumin can be used as an anti-arthritic agent. An animal model of rheumatoid arthritis was used and 3 curcuminoids were studied. The curcuminoids were administered before and not after inflammation set in. 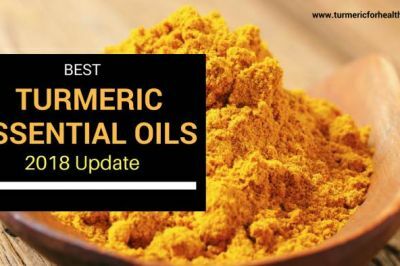 It was found that oil-depleted turmeric fraction was not as effective as a commercial composition that contained 94% combination of the 3 curcuminoids in combating inflammatory conditions. Non-steroid anti-inflammatory drugs (NSAIDs) are usually used to treat all inflammatory conditions. However, long-term use can cause serious side effects. Hence, safer alternatives like curcumin are being studied for their potential anti-inflammatory benefits that can be used long-term without any side effects. Curcumin is able to inhibit the activity of cytokines and enzymes such as COX-1 and COX-2. It has been recommended as a treatment for chronic neurodegenerative diseases in combination with lower doses of NSAIDs. Dietary polyphenols like piperine and curcumin have been studied for their effect on the prevention of breast cancer. Mammosphere formation, which is a marker of breast stem cells were studied. Early progenitor cells, normal stem cells, and healthy breast epithelial cells were examined after control, piperine and curcumin treatment were administered. Turmeric and black pepper compounds both inhibited mammosphere formation. They also did not cause any toxicity, therefore showing that they could be possible cancer preventive agents. Current breast cancer treatments are often ineffective and very often even after chemotherapy and other treatment, the cancer cells reappear. According to new studies, this could be because cancer stem cells still remain and could cause tumors to recur after a period. Hence, new research is trying to find possible ways to target stem cells. Studies have found that turmeric and black pepper combined could target breast stem cells. In a University of Michigan study, cancer cells were injected with a potent solution of piperine and curcumin that was at least 20 times stronger than what is normally consumed through food. Breast stem cell markers were studied. The self-renewal process of breast stem cells that is the hallmark of initiating cancer was interrupted. This is considered a significant development. Further, both compounds did not affect normal breast tissue. Sometimes women who are susceptible to breast cancer may be advised to take medications like tamoxifen. However, these can be toxic. Natural compounds, which offer similar benefits and are non-toxic, could be a safe alternative therapy. Another benefit is that piperine and curcumin target self-renewal of all stem cells and not just those that are estrogen sensitive like tamoxifen. This theory offers hope to all women who develop breast cancer not just the estrogen-driven kind. Turmeric and black pepper could be combined to fight high cholesterol levels, obesity, and diabetes. Diet-induced bodily changes to blood glucose, body weight, low-density lipoprotein (LDL) or bad cholesterol and triglyceride could be affected by CPQ. CPQ is an acronym for the combination of curcumin, piperine, and quercetin (got from onion skin). Presence of flavonoids in CPQ is possibly responsible for many of the reactions like a decrease in glucose transport. These studies were conducted on laboratory rats. When combined together, turmeric and black pepper could help relieve gastric mucosal damage caused by peptic ulcers. This is due to the capacity of curcumin to prevent the growth of Helicobacter pylori bacteria which causes peptic ulcers and the protective capability of piperine. Both also have antioxidant benefits. Hence, they can benefit from improving memory loss and protect people from cognitive impairment from neurodegenerative diseases like Alzheimer’s. Curcumin has an anti-amyloid ability that can reduce amyloid pathway in Alzheimer’s. Both low and high doses of curcumin fed to laboratory mice seemed to reduce age-related memory loss. The dosage of turmeric varies depending on the medical condition. As with most herbal supplements, turmeric has no specific dosage guidelines. The usually dosage dried turmeric powder is 1-3 gms per day. For supplements – 400 – 600 mg, thrice daily . As I keep saying, again and again, I am not in favor of turmeric supplements and support using turmeric in your diet. Use supplements only in cases when you cannot do so. My detailed article on turmeric dosage can be read here. Black pepper too can be easily added to your diet in curries, salads, and dressing. A great way to have turmeric and black pepper together is Golden paste. Get its recipe here. Black pepper must not be consumed in excess of 1 tsp a day when certain medications like digoxin or phenytoin are being taken. The rate at which these medications are cleared by the liver could slow down when black pepper is consumed in excess. Turmeric as spice is considered to be very safe. Turmeric supplements must not be consumed in excess and for long periods. This could cause indigestion, dizziness, nausea or diarrhea. Those who are pregnant and breastfeeding are advised to avoid all types of herbal supplements. 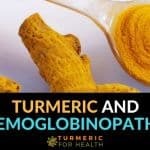 Diabetic patients, those due for surgery and those with gallbladder problems must also stop using turmeric supplements. While both turmeric and black pepper are considered very safe and have been used for thousands of years, if you suffer from some specific medical problems and are not sure about using them, please consult your doctor. Turmeric for Health's writer team consists of passionate writers from the fields of biotechnology, pharmacy, nutrition, Ayurveda & microbiology.Our writers are highly qualified with many having Ph.D., M.Tech & MSc degrees while others having B.Tech, BSc, B.Pharm. Our differentiation lies in researching and presenting ONLY FACTUAL SCIENTIFIC information. We spend 10s of hours to write a single article. Info of our articles is sourced from reliable scientific sources which are also provided as a link alongside for readers to refer if they want. You can read more about our team in the " About us" section. Thank you for the appreciation. Hi. Both should work fine. Compare that with Turmeric supplements at around £25 for a months supply. You can also buy the capsules and Capsule make appliance, which is again cheap and will last many years. Many Family and friends have followed my advice with great success. I have left many comments on various newsletters, all confirm why I take my own made capsules of Turmeric and Black Pepper. For over two years now I have been free of any medication from when I had Arthritis of the Spine which in turn caused my Migraines. I mix One Tablespoon of Black Pepper with 5 Tablespoons of Turmeric, which will make up approx 145 Capsules, of these I take 4 a day with food. Do not take between meals as it will be of minimal benefit. Hi David. Thank you for sharing this. We are really glad to hear that turmeric benefits you. Wish you great health! “Some studies have focused on using piperine as a new way to kill chronic pain – especially neuropathic pain which is untreatable”. When was this article published? This information is outdated. Maybe the medical community is clueless, but my first flareup neuropathy pain disappeared with alpha lipoic acid and acetyl L-Carnitine supplementation. There are also vitamins that nourish the nervous system that also help. I would like to know how much Olive Oil or Coconut Oil can one use in a cup of Turmeric milk. As Turmeric needs Black pepper and fats to absorb, I have been using 2 heaped teaspoons of Organic Olive oil in a mug of 250 mls of Turmeric milk once a day. Since I have been doing this, my Cholesterol levels have risen to 6.8 Can any one tell me how much oil should one use in a mug of 250 mls of Turmeric milk. If my memory serves me regarding coconut oil, this probably isn’t the cause of the higher cholesterol count. Do a web search for cholesterol count and coconut oil to confirm. I would also do a search for causes of elevated cholesterol. Much of my recent research has been debunking the older warnings and concerns on the cholesterol numbers that have been in use as well. You need to evaluate all the data and your individual health profile before becoming concerned about any elevation in your numbers, but I strongly doubt it is a result of the coconut oi. Especially since you are using Turmeric/curcumin as well. Olive oil or coconut oil are not the type of fats that would adversly affect body lipids at the amounts that you are consuming. However if you are using black pepper then you could avoid using fats. For turmeric milk, a combination of turmeric, black pepper and/or cinnamon should suffice. Thank you for your good work God Bless you all.Regards Mariastella. Turmeric use as food and medicine for long history in the past. I am not sure for long term issue effect, i have to test and record what happen. But, i think it is safe. How do you think ? Being of Asian origin, I always cook my food with turmeric in it. Should I still take turmeric supplements? Turmeric in the diet is amazing. We would not suggest taking turmeric supplements unless you are facing any chronic health condition. Just wanted to say “thank you” for all the work you do. I am grateful to you all for your dedication. I have been helped immensely by your articles. And your help is passed on to my family and friends. Hi. Thank you for your positive feedback. We are glad to hear that our articles were of help to you. Quercetain, which onions contain, also increases bioavailabililty. Delicious recipe which ‘goes with everything’: Wilt onion chopped largely, in coconut oil. Sprinkle curry, which contains turmeric/curcumin AND other wonderful things, onto the onion. Put black pepper on when ready to serve. You can put this on rice or meat, or anything, or eat it as it is. Often. how do i get the turmeric stains off of my teeth. idrink coffee & tea with turmeric everyday. i use coconut oil for oil pulling also i use sea salt & baking soda along with coconut oil & i still traces of turmeric stains on my teeth. charcoal toothpaste should do it. Amazon has several, and they are not expensive. Love how they clean, myself. Does anyone know if simmering the turmeric and pepper together deactivates the effects of the pepper? I only just noticed that the recipe called for adding the pepper at the end and I had assumed they were cooked together. Hi, I want to make a golden paste to use for myself and my dogs. Can we use the same amounts of ingredients? Also I have Black Pepper essential oil by Doterra. Can that be used in place of cracked black pepper and at what ratio? I have RA and someone told me to try turmeric . I did and I think it has helped. I didn’t know much about it. I am taking supplements 500 mg. of turmeric i take 3 a day one in morn one in afternoon and one at night. But I have been taking them with my others meds. It does not have black pepper in mine. So I going to buy the turmeric circuits complex with black pepper extract they are also 500 mg. What do you think? I definitely need somegging for the pain. Am looking forward to hear what you think. Consider taking a standardized 95% curcumin with bioperine supplement. A dose of 1000-1500mg per day helps in most cases. I’m wondering if the black pepper has to be ground or if I can just take some whole pepper corns with my curcumin pill. And if so how many black pepper corns should be taken with a 1 gram dose of curcumin? Hi. Please consider taking curcumin supplements after a meal since dietary fat helps in absorption of curcumin. You can also incorporate black pepper powder in your meals. If you plan on taking whole pepper corns, 2-3 corns should suffice (it’s an approximation and not scientifically tested dosage). Next time do opt for standardized curcumin with bioperine supplements, they contain curcumin and piperine (black pepper) in a ratio of 10:1. I have excruciating pain in the buttocks down the legs when I wake up from sleep, and I have refused to take any analgesic until I bumped into turmeric and black pepper, behold all the pains are gone. That’s fantastic! Glad to know that turmeric benefits your health. I noticed Amazon sells Starwest Botanicals Organic Turmeric Root Powder, 1 Pound Bulk and also Starwest Botanicals Organic Malabar Black Pepper Whole, 1 Pound. If I were to make my own capsules would you recommend I just mix these two together thoroughly and then make my capsules or is there a better way to do this?? Please help. You wrote that only whole peppercorns should be used. Yet you also talk about black pepper powder. Do you mean for us to grind the whole peppercorns immediately before use? Or swallow whole peppercorns? Or what? Please answer this one! Thanks a bunch. Your article is very helpful, thank you for sharing information with us. Hello, I use a organic mixed peppercorn, three colors for myself golden paste. Should I use just black pepper? Thanks for the information Bob. If I choose to add Ginger, Cinnamon and Cardamom powder as well, would you recommend adding them at the same time as Black Pepper, after 5 minutes of cooking Turmeric? Hi Salim. Sure, we will soon post a good smoothie recipe. However if you are including turmeric in a drink, 1/2-1 tsp turmeric powder and 1/4-1/2 tsp black pepper powder should suffice. My brother-in-Law takes Turmeric, but because he has high blood pressure someone told him he should not take it with black pepper. Is there any truth in that? My Mom has Gall Bladder Cancer. Can curcumin and piperine capsules will help? If yes than what would be the dosage? Hi. 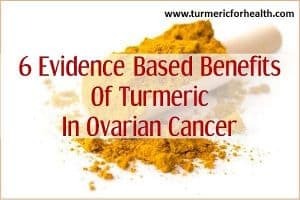 Experimental studies do suggest that curcumin may benefit in gallbladder cancer, but it is advisable to confirm with the health practitioner first. I take turmeric with almond milk and coconut oil after boiling the mixture for 10 min.. I do not add black pepper because I am allergic to it. I found out that adding some lecithin power to the liquid helps to homogenize the oil. Has anybody tested if lecithin improves the absorption of turmeric? if lecithin has phosphatidyl choline in it, and I believe it does, it will help the absorption. Andrew Lessman makes his turmeric/curcumin caps with phosphatidyl choline because research shows it helps with absorption/utilization. Which is better to use for maximum benefits of turmeric powder is it black pepper or cayenne pepper? Hi. It is black pepper. Black pepper contains piperine which is necessary for increasing curcumin/turmeric’s absorption. I started selling Starwest organic Turmeric on my ebay store years ago and seen it was a great seller. So I decided to try it out and never looked back. I love this stuff. I take it every morning before going to work. I also take it right after I get done working out for my joints. If you haven’t tried Turmeric, you are missing out on some great benefits. Glad to know that turmeric benefits you! how do you take it if its a power just by a spoon full or mix it with water? I make make a green smoothie every morning & add turmeric powder to it. I also take 2 black peppercorns before I drink my smoothie. Hi. Turmeric is poorly soluble in water. You can take it with fats as Golden Paste or you you can just take it plain with black pepper powder. You can even add it to juices or smoothies or your regular meals. Hi, I was diagnosed with Endometriosis. Would Swanson, full spectrum Turmeric & Black Pepper (organic) capsules 800mg-5mg work to relieve inflammation or pain caused by Endo? I have tried everything I can think of in OTC anti-inflammatory or pain relief. When I go to the ER they give me Morphine and it does not help. Hi. Turmeric can help reduce the inflammation. Start with a small dose say 250-500mg and increase gradually over weeks. Avoid taking the supplements on an empty stomach and close to the time of taking medicines. Opt for standardized 95% curcumin + bioperine supplements. Consult your doctor before taking the supplements. You can take Golden Paste. Start with small doses such as 1/4-1/2 tsp and if you see no side effects then increase the dose gradually to 1 tsp 2-3 times a day over a few weeks. Best taken with food to avoid acid reflux. Avoid taking it at the same time when you take meds. If I follow your recipe and make up the paste, how much of the paste should I consume a day? Hi. Start with small doses such as 1/4-1/2 tsp and if you see no side effects then increase the dose gradually to 1 tsp 2-3 times a day over a few weeks. Best taken with food to avoid acid reflux. Avoid taking it at the same time when you take meds. Black Pepper is a very useful spice used by the Asians. It has great benefits plus gives a great taste to food. Nice Black Pepper Benefits article. Hi Rina. Thank you for your feedback. If I take a teaspoon of turmeric, how much black pepper should I take with it? Please just answer the question is it 3 flakes? a pound? a quart jarful? I don’t need anymore long winded explanations about th ebenefits and peperine and then end up with no answer to the question. What should the ratio be? For 1 tsp of turmeric, 1/4 tsp of freshly ground black pepper should suffice. For supplements, the ratio is 100: 1 (curcumin to piperine) but it is difficult to translate that for dietary intake. Great info. Thanks a lot. I am working since long to make a 100% very powerfull herbal medicine. Question is: I do need some info I can’t find for combining certain herbs,would you be interested in helping with these information? I Just bought turmeric supplement, unfortunately it has no black pepper ingredients within it. Could I use black pepper powder or grains to help utilizing the turmeric capsule. If it so, how much dosage or teaspoon to consume with the turmeric? My capsule is 100 mg curcumin. Hi. Yes you can take black pepper with the supplement. Firstly take the supplement after meals. That too will help with the absorption. Now you could consider adding freshly ground black pepper to your meals to help with the absorption. Or you could consume a pinch of black pepper powder or 1-2 peppercorns with the supplement. We definitely would recommend option one. Hello, would black cumin seed oil go well with turmeric powder and fresh crushed black pepper? I read that black cumin seed oil or just the seeds are very beneficial, what’s your opinion? Also thank you very much for posting this article it’s very helpful and thank you for taking the time to respond to many questions that the readers have – much appreciated! Hi. Thank you very much for your feedback! About black cumin seed oil, yes it has many health benefits. It is rich in unsaturated fatty acids and these should aid in absorption of turmeric along with black pepper. This is a great write up on turmeric spice. It is very useful and informative. Your recommendation of using turmeric as a spice instead of turmeric supplement as a capsule is great and I really appreciate your view. Thank you for your feedback, Gopalkrishna! How long have “we’ve” known in order to receive the benefits of Turmeric you need to add black pepper? If this is certain, are you saying the Asian and India populations have been adding black pepper for the last few centuries, and we are just being told? Other wise how do we have the thousands of years of documented healings? Excellent observation Tillie. All that is happening today is this: human profiteers are taking ancient knowledge and injecting it with steroids. Taking natural herbal remedies and changing them into full throttle active drugs with serious side-effects potential. Black pepper has been used as a bioenhancer in Ayurveda since ages, not only for turmeric but also for any Ayurvedic preparations. Asian and Indian populations always incorporate turmeric in a fat (oil/ghee) before consuming it as a part of any dish. So yes both these techniques are a part of traditional knowledge in Indian culture. I have read that oil can also increase the absorption of curcumin just like bioperine (black pepper) so that probably explains how the Asians benefitted , A lot of oil goes into the making of a curry. Is it better to take Bioperine with my Turmeric powder instead of freshly ground black pepper? I have heard the Bioperine is hundreds of percentile more effective in absorbency of the Turmeric into our systems than black pepper? Yes, bioperine is an optimized extract of black pepper. You can take that but avoid taking it close to the time of taking any medicine. Also we would recommend sticking to freshly ground black pepper as it is natural, daily food ingredient and inexpensive compared to bioperine. Is it best to take Bioperine with my Turmeric powder instead of freshly ground black pepper? I have heard the Bioperine extract is exponentially more effective than in the absorption of Turmeric into my system than Black Pepper. I don’t like that Bioperine is a patented product, man made? Can anyone recommend tumeric powder that has the black peppercorns included? I hate taking supplements, but most of the powder I’ve found doesn’t include the black peppercorns. I don’t want to buy the ingredients separately and combine them. I want to purchase them together. Hi. It is highly unlikely that you would get a mix of these two spices; you would generally get a blend of many spices. It is best to buy turmeric powder separately and add freshly ground black pepper. Freshly ground black pepper is advised because piperine,the active ingredient of black pepper is required to enhance turmeric’s absorption and that compound is volatile and lost on storage. Gaia Herbs makes Turmeric Supreme which is a mixture of turmeric and black pepper. Hi. That sounds like an excellent combination. It is great for health. But one should also note that turmeric is not water soluble and requires fat and/or black pepper for absorption. So for a more pronounced effect you may need to take turmeric with fats. 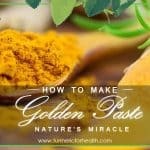 What you could do is make The Golden Paste, use it instead of plain turmeric and black pepper to make your own tea. I have two pugs 18lbs and 20lbs. The vet recommended turmeric and black pepper but didn’t state how much to use. Do you have any idea what I should use. The pugs are on the paleo diet and are 10 and 11 yrs old both males. Can I add turmeric powder and NOT-fresh ground black pepper to a smoothie without oil ? WIll I still get benefits ? Yes, that is absolutely fine. Turmeric is fat soluble and hence oil increases absorption and bioavailability of turmeric. I take 1 teaspoon of turmeric powder an 20 turns of a pepper mill in a probiotic yoghurt drink every morning. Should I still be feeling the benefits of ingesting this way? Yes that is absolutely fine and you would be reaping benefits from this as dairy fat and black pepper aids in absorption. I modified a juicing recipe I found that turned out to be absolutely delicious. I juice up 4 pounds of carrots, 8 apples, 4 lemons, 8” of turmeric, and one red chili pepper and get five full 16 oz jars. I removed the pepper’s seeds since the juice is pretty zesty without them. Would this give me the same benefits as black pepper? I could easily put in twice as much turmeric and still get a great taste. I had an upset stomach the other day and was considering chewing on a Tums. I drank one jar and the discomfort immediately disappeared. Hi. Glad to hear that turmeric is benefiting you. Turmeric in diet is well absorbed. However red chilli peppers can’t replace black peppercorns. Black pepper corns have piperine that aids in absorption and this is missing in red chilies. Fresh turmeric have natural oils that aid in absorption but if it is possible you can always add black pepper to the current ingredient list. That turmeric oil is really hard to clean out of my Omega mastigating juicer. It almost looks like it’s embedded into the hard plastic auger. Have a suggestions? I make a drink every morning that consists of 10 oz. of water heated for 30 sec., turmeric, apple cider vinegar, cinnamon, lemon juice, cayenne pepper, and baking soda. it seems to be improving my health, but should I be using black pepper instead of cayenne pepper? Can I use both? I would also like to mention that I have high blood pressure and diabetes. Hi. You can use both. Black pepper would aid in absorption of turmeric. Both black pepper and cayenne pepper have their individual health benefits. Turmeric benefits in both hypertension and diabetes. You can also opt for the Golden Paste. Can you tell me the amounts of each ingredient? I’m diabetic also. I`m making up my own organic tumeric powder and black pepper capsules for travelling purposes. A large batch of 500 capsules. I can`t work out the exact ratio of tumeric to black pepper though. Could you please supply the correct ratio for me? Hi. There is no exact ratio as such when you are making your own capsules. Say for 1 tsp turmeric powder 1/4 tsp black pepper powder should do. You can downsize accordingly. Rather than all the concoctions, wouldn’t it be easiest and most beneficial just to eat maybe an inch of raw tumeric a day? Please advise. And if so, do you need to add pepper? I know the oil is not necessary because there is natural oil in the root. Do I need to eat it on an empty stomach? Can I wash it down with juice? The taste is awful. I have more questions!!! My daughter has had Epstein Barr for 7 months. She has severe neck pain and back pain. She also has terrible brain fog. She is also exhausted in the mornings and does not get moving until 12pm. Once up and out she seems to feel well enough to get through the day. I am trying the tumeric in hopes that it will help alleviate her body pain. Perhaps it will help detox her as well and help her to heal faster. Do you have any suggestions? Yes its absolutely fine to eat an inch or half an inch piece of raw turmeric each day. Pepper is not necessary since the natural oils help in absorption. You do not need to eat it on an empty stomach. And yes it can be juiced. There is quiet some research that points out the benefits of curcumin in Epstein Barr. She can try including dietary turmeric as Golden Paste made from fresh roots or even Golden Milk. It can help attenuate pain and reduce fatigue and some readers have reported clearer thinking and better cognition after taking it. I read in your website that , ground black pepper won’t work. Does this mean that whatever i’m taking isn’t going to help ? It will not absorb in the body? If I buy peppercorn then it also requires grinding then what’s the difference ? How to use peppercorn ? Any help is greatly appreciated. Hi. It isn’t that ground black pepper won’t work. Piperine is a volatile compound in black pepper and is generally lost on storage. Therefore readymade ground black pepper is not preferred as its pungency may be lost due to storage. That is not the case with freshly ground black pepper since the piperine remains intact. You can grind a couple of peppercorns and consume the powder with turmeric. Also turmeric is poorly soluble in water and better absorbed in oil. You can take Golden Paste as it combines the three elements. Do you have to use black pepper or can you use white pepper too? What about using “pipum longum” (long pepper) vs black pepper. What would there ratio for that be? Long pepper can be used as well since it contains piperine but more research is required to confirm this. There is no specific ratio as such. Say if the meal incorporates 1 tsp turmeric powder then 1/4 tsp of freshly ground black/long pepper suffices. Freshly ground black pepper is preferred. Turmeric in diet is absolutely safe and is not known to cause any drug interactions. If taking supplements consult a doctor prior. How about 1 teaspoon of Turmeric powder mixed with half a teaspoon of black pepper in boiling water as a tea? Is it a good ratio to boost bioavailability of Turmeric? Yes that should be fine. There is no fixed ratio as such but 1/2 tsp should be sufficient and if it is too pungent you could reduce the amount. Including milk in the tea could also help in absorption due to dairy fat. thanks a lot for your help! my plan is to buy 1lbs of turmeric powder and maybe 1/2 lbs of black pepper and then make my own tea. there are blends available on the internet but a lot of them use Cassia cinnamon instead on Ceylon cinnamon. That is a great idea. Do let us know how it turns out. I just started a morning regimen of turmeric and ground black pepper. I mix about 1 to 1 1/2 tablespoons of turmeric with 1/4 teaspoon of ground black pepper in honey to make a thick paste. I just eat it with a spoon and have grown accustomed to the taste. Is this an adequate daily dosage? 1-1.5 tablespoon of turmeric is a good daily dose for health benefits. As long as you do not face any gastric side effects, it means that dose suits you. There is generally a caution about using honey but Ayurveda recommends honey and if it is modest amount it should not be a problem. I have a couple of questions on this: 1) I’m pretty healthy and really would like to add this to my weight loss program. Is there anything special I should be aware of here? 2) My cat has inflammatory bowel disease, and I’m worried that it might eventually progress to bowel cancer. Would I be able to adapt this for her? Obviously the dosage would be a lot less, but I’m wondering if it is safe for cats? Hi Diana. Turmeric does help in improving weight loss outcomes of diet and exercise. Turmeric is safe for cats. You can start your pet with a small dose of 1/8tsp a day mixed with meals and gradually increase the dose over the weeks to 1/4 tsp 2-3 times a day. Does the paste need to be heated prior to consumption? I was told to keep in the refrigerator and to reheat before eating, it would be great if that’s not required. I want to do whatever will give the best results. I was just going to add it to my morning protein shake, which is cold. Hi. There is no compulsion as to heat the paste after removing it from the refrigerator. You would only need to reheat if you like a warm taste or need to change the frozen consistency. I hope this post gets seen, as the last post seems like a while ago. Please elaborate on why diabetics and High blood pressure people shouldn’t use this combination? I just purchased turmeric EO and black pepper EO to boost my system. I have breast cancer. I can’t swallow pills, so I am looking for advice on the oils. I made up a solution of black pepper & extra virgin coconut oil (2% dilution) and another of turmeric essential and black pepper essential oil (4% dilution). The black pepper/EVCO mix is for digestive problems and the turmeric/pepper mix is for general health. How should I use them throughout the day, if at all? Why not diabetcis/HBP patients? Turmeric has blood pressure reducing and blood sugar reducing properties. So it is said that when taken in combination with medicines for high BP and diabetes it may have an additive effect. However that does not happen in real life but it is advised not to take turmeric supplements at the same time as other meds since turmeric interferes in drug metabolism. We can’t come much on the usage of essential oils for cancer. Turmeric oil does not contain curcumin which is required for cancer treatment. However you can take Golden Paste. Since you can’t take capsules, you can buy curcumin supplements or powder and just add the powder to the paste after it has cooled down or when you are taking it. 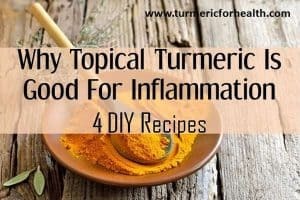 Hi my mother was recently diagnosed with Temporal Arteritis (inflammation of her veins) and has affected her vision in one eye.Do you know anyone who has had this disease who have taken Tumeric and Pepper and has it helped? Also how about juicing turmeric and adding black pepper. Is it just as effective? Hi Kathy. Turmeric is an inflammatory agent and it is good for vascular health, so it should help in temporal arteritis. Juicing turmeric is great and it will be helpful. However we would recommend Golden Paste also apart from juicing. Start with small doses such as 1/4-1/2 tsp and if you see no side effects then increase the dose gradually to 1-2 tsp 2-3 times a day over a few weeks. Best taken with food to avoid acid reflux. Avoid taking it at the same time when you take other meds. How does the consumption of turmeric and black pepper in your diet solve prostate enlargement. Turmeric attenuates symptoms of prostate enlargement. Yes, you can take turmeric and black pepper for hypothyroidism. A good way of combining these is Golden Paste. Start with 1/4 tsp a day and increase gradually to 1-2 tsp 2-3 times a day or how it suits you. It is advisable to take this paste with or after meals to avoid chances of reflux. Thank you for sharing this point. A mix of turmeric and pepper does fine but if its possible it is advisable to cook it since it is better absorbed in the body. Therefore we recommend Golden Paste. It is a fairly simple recipe. Where is the support for the statement cooking turmeric makes is more absorbable? Not cooking but heat treatment makes curcumin more bioavailable. 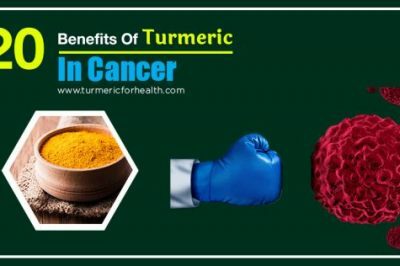 Apart from that you can also refer to this article wherein we have quoted a number of articles which show how the benefits of turmeric increase with cooking. That’s what I do accept I add coconut oil instead of water and gulp that down. It needs the fat to better absorb. Dan, good advice but here is a better one. 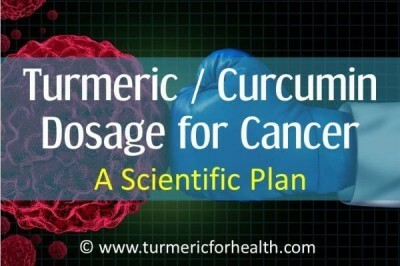 It is proven that turmeric and pepper work great on some cancer situation. In my case, I cleared my prostate growth that reached 10,2 on PSA trest. Now it is 4,8 at my age of 77 years. However, the turmeric/pepper mix MUST be COOKED first and OIL added later. – To half a cup of turmeric powder add boiling water in order to get a spredable looking paste. Cook it SLOWLY about 5 minutes while adding 5 grams (one and half tea spoon of finely grounded pepper). – When done, add 0.7 dcl of olive oil. Mix well. Put in a jar and keep in a fridge to be used within about 7-10 days. Take ¾ tea spoon of this paste 5-6 times a day. If cancer is aggressive, take the paste every two hours. Some research suggests that it works on breast cancer as well. how would I change this recipe if using fresh tumeric root rather than powdered? That is exactly what I do; although I add little ginger. Could I use do that in a mug, like a black coffee job, but adding brown sugar to it? I put mix in vegetable juice (V8) , it tastes great! Every day! Recently I discovered a commercially available mixture called CURCUMIN LATTE that contains turmeric powder (53%), black pepper, ginger, cinnamon and cardamom. It is advised to mix a teaspoon of this mixture into a cup of warm milk to make a refreshing and healthy drink. I improved the recipe by adding a spoon of virgin coconut oil on top – delicious!!! After only two weeks of taking this drink once daily, the symptoms of my menopausal arthritis in hands have been drastically reduced. Thank you for mentioning this. Glad to hear that turmeric benefits your health! Thank you for this truly fantastic article. My mom is 63 and she’s had pain in her hands and knees for years. For a long time she’s been making turmeric tea by grating the raw turmeric and mixing with buttermilk. She got some pain relief, but she wasn’t as consistent as she should have been because of all the cleaning, as turmeric stained the pots and tea towels etc…I read about your post here and thought I would send her some Turmeric capsules to try and within 2 weeks, she had so much relief. She called and raved about how much better she was feeling. She cannot take black pepper though because of a sensitive stomach, so I got her turmeric capsules without black pepper. She’s happy 🙂 and I’m happy she’s happy and without pain 🙂 Wishing you all the best and thank you for your very very helpful posts! Hello! 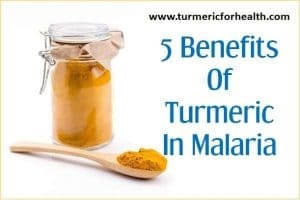 Is it recommended to have a mixture of powdered turmeric, black pepper, flax seed along with honey and back seed oil added with half glass of water to have it on a empty stomach. Hi. We have not heard of such a combination but yes turmeric can be mixed with other herbs and spices. Its safe. However it is advisable to take turmeric powder with meals for better absorption and to avoid risk of acid reflux. Can I ask why supplements are not good long term. I work very long hours and also work irregularly – this means I don’t have a routine with food & fitness. Caspules are easy to have in the car. Also, the supplements I have contain 1% black pepper per capsule – is this enough to provide health benefits? Supplements have high concentrations of the active ingredient. As in case of turmeric, supplements are optimized version of curcumin. These high concentrations may not be required by your body. High concentrations of curcumin have been linked with increased bleeding risk and gastric side effects. 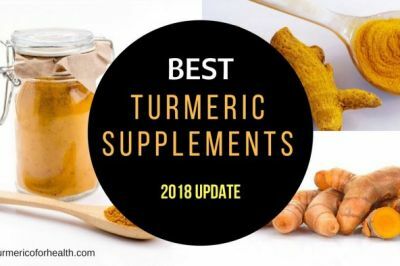 A study which investigated the effect of turmeric in healthy individuals made use of a optimized supplement but showed that as little as 80mg curcumin is sufficient to supply health benefits. 5-10mg piperine is the standard amount that is included in supplements; its difficult to comment on ‘1% black pepper’ Just ensure its good brand in terms of purity and quality. I was planning to buy a 1lb bag of Tumeric powder and simply adding the black pepper to the bag and then make capsules. I was wondering how many oz of black pepper I would need to add to a 16 oz bag of Tumeric powder. Also, I read something here about the pepper losing its bio-availability for the Tumeric if its ground and not kept in full peppercorn form which was confusing. Alternatively, I saw the BulkSupplements Pure Quercetin option you linked to. Was this totally in lieu of black pepper all together? Would this work better for the capsules I plan to make? Are there long-term capsule storage issues for efficacy (or going bad) with either option? P.S. On many Tumeric powders there is no Curcumin content listed. Is it fair to say if its organic you could expect 4% on almost every organic Tumeric powder regardless of company? It is what it is type of thing? Im gonna go with either Organic India, Frontier, Starwest, or Feelgood Organics most likely. Just a quick addition : If the Quercetin is the best answer for making my capsules ( if the pepper absolutely needs to be fresh ground and would lose efficacy being stored in the capsules) what would be the correct amount of Quercetin in oz. for the 16 oz of Tumeric? For 500mg of turmeric in capsule you would need 5mg piperine which would be around 10-20mg black pepper. Its tough to give an answer in oz for the proportion per capsule would change. Per capsule the quercetin range would be 60-100mg approx. We are not really sure if it can replace black pepper but it may help in increasing bioavailability. You could consult a herbalist for this. Freshly ground black pepper is always advised since piperine its active ingredient is volatile. The curcumin content of turmeric powders is generally in the range of 3-5% but may differ for various brands. There shouldn’t be storage issues as such since these powders stay fresh for month or more under good storage conditions. Well bottled and stored in a cool dry place. Thanks for the reply. I was looking at Onion Powder or Amalaki (Indian Gooseberry) powder as the possible quercetin source to mix with the Tumeric. The Bulk Supplements product seems to be expensive for what Im thinking of doing. Although measuring the amount of quercetin in those natural sources is basically impossible Its a lot less expensive. The way this is going I may just have to guess-timate. I cant measure every single capsule and Im not going to grind fresh black pepper everyday. If you were to do this approach yourself, which approach would you choose if you were to make the capsules in one sitting? I COULD fresh grind a couple oz of black peppers and then cap them right away. Or, I can just buy a couple oz of black pepper and dump it in the 16 oz Tumeric bag and call it good. If I see the bag of Tumeric with black pepper speckled throughout it Im thinking that my be enough. If you think this approach would be basically ineffective let me know. I can basically take the same approach with the Onion powder or the Amalaki. Like 2/3 Tumeric to 1/3 of one of these powders, mixed thoroughly and capped. I realize neither of these methods are perfect but they do have to be somewhat effective at assimilating the tumeric. Im just not going to be making paste all the time. I appreciate your time. Great website btw. If you don’t want to be accurate then the approach of 2/3 turmeric and 1/3 of each powder is a safe option that would be close to the accuracy. Or you could mix in roughly 100g of each of these powders with 500g turmeric powder and take it immediately after meals so that the dietary fat aids in absorption. Also quercetin is not a must. Hope this makes things a bit simpler. Is it necessary to grind the pepper corns? I have been taking curcumin capsules, and a 3 peppercorns with the capsules. Is that enough pepper, and do I have to grind it? Hi. You can take whole pepper corns instead of grinding. That’s fine. If grinding ensure that it is freshly ground. Hi, I have angioedema and vasculitis. I have severe attacks daily. What is the best way to get turmeric into my system? Adding to food? Tea? Milk? How much is too much? Turmeric is an anti-inflammatory agent and also found to be therapeutic in allergic and autoimmune conditions. The condition you are suffering from is chronic and you would require to take turmeric for quite some time for a visible effect. The best way to take turmeric is The Golden Paste. This ensures that its bioactive ingredients are absorbed in the body. You can start with 1/2 teaspoon or less 1-2 times a day and gradually build the dose as to how it suits you say about 1-2 teaspoon 2-3 times a day. Hi, Thank you so much for sharing very knowledgeable information! am taking Curcumin supplement – 492g twice a day for depression and anxiety. How many black peppercorn should I take? Is that high enough dosage? For dosage regarding supplements it is best to consult a doctor. The dose you are taking is similar to what is tested in clinical trials. Take supplements with meal. 1/8-1/4 teaspoon of freshly ground black pepper should be fine. Turmeric supplements with black pepper are also manufactured. Would black pepper oil work? Its preferable to use crushed black pepper. Black pepper oil could be of use only if it has good piperine content. Black pepper oleresin contains piperine but volatile oils do not contain piperine. When taking capsules, should I take some black pepper too? If your capsules do not contain piperine or any other bioenhancer like lipids Then you would require to take black pepper. Also you can take the capsules immediately after meals because dietary fat can enhance absorption of curcumin. I came here because I read that turmeric is only fat soluble. Is that true? Or could I just add black pepper to my salad? The idea of adding coconut oil to my salad sounds awful. But If I can just add black pepper that would be great. If you insist that I do need fat to absorb the turmeric, Could I just take a fish oil capsule with my meal? Elle, it is true that curcumin found in turmeric is fat soluble. But black pepper does increase turmeric’s bioavailability. Turmeric and black pepper should do. Also taking a fish oil capsule is beneficial but not a must for there must be some other source of dietary fat as a part of your meal. However if you are fine with it, then we would suggest taking Golden Paste because that takes care of bioavailability. You could also add it to your salad. Hi, could you please tell me what is the difference between, Black or Tellicherries Peppercorns? I want to know in an effort to receive the maximum absorption from Curcumin. Thank you. Tellicherry is a grade of peppercorns based on size of the corn. It has piperine content of 6% but in general it has more volatile oils than piperine. It is fine to use regular black pepper. i have been having chronic throat pain problem since 7 years, before both part of the throat use to heart, now only the left side hurts, as i talk pain increases, can not talk like a normal person would before my throat pain increases, maybe around 20% of what a regular person would talk. i have been trying so many things but maybe not doing one thing for long time due to lack of guidance. bcz of swelling in my throat i also get viral infection very often, almost 2-3 times a month, but those go away after taking medicine. 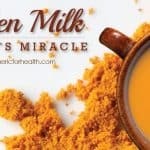 would taking 1tsp of turmeric, wit 1/4 tsp of black pepper power with milk regularly help me with my problem? any guidance would be appreciated. I use fresh Turmeric root in a “juice” type drink I love to make. I use approx the amount that matches 1.5 of my index fingers. Pepper TOTALLY ruins the drink. How do i increase the bioavailability? Do i just swallow a tsp of black pepper before or after the drink? Buy whole peppercorns and just swallow a few before, after or with your juice. No, green pepper provides capsaicin and not piperine which is required for absorption of curcumin. What do you use this for?? Susantha, you can take The Golden Paste. Starting with half a teaspoon a day you can gradually increase the dose to 1-2 teaspoon 2-3 times a day or how it suits you. Make sure you use organic turmeric and try to find a dose that suits your body in the sense that it does not cause side effects and improves symptoms of arthritis. Hi. Due to car accident some 30 years ago I have multiple bone fractures with spine damage have been suffering with terrible Arthritis for years. I have just started taking every morning Turmeric supplement called METABUZ which I add lemon juice and ACV/Honey mix. For breakfast I have organic cereal with 1/2 teaspoon of Turmeric + 1/2 teaspoon of Cinnamon +1/4 teaspoon Black Pepper + 1 tablespoon each of Coconut oil and Raw Honey fill bowel with Organic Coconut Milk. Is this to much Turmeric to take for one day? Pain has dropped to about 2 out of 10 level 10 being hi can not get rid of stiffness in my spine but is good not to have the pain. Rob: Along with the Turmeric, take Devil’s Claw.I have inflammatory arthritis of the spine and without either one of these, I would be in agony. Turmeric is wonderful, but it can’t do it all. Give the combination a couple of weeks to mitigate the pain and see what happens. Barbara would you consider taking fresh garlic mashed and allowed to sit for at least ten minutes , Also thyme along with similar herbs and spices , I am using natural anti-inflammatories in conjunction with the herbs to fight the hidden infections which are causing the inflammation in the first place , The swelling in my hand joints and wrist is gone completely , Maybe google hidden infections see if it makes sense to you . Milk is not a good recommendation for anyone unless they are the offspring of the animal providing the milk. I totally approve of the remainder of your suggestions. Don’t drink milk, or any food for that matter, if you can’t tolerate it (allergy or whatever). Most (not all) of northern European descendants have adapted to handle milk just fine. In fact there are whole cultures who thrive drinking milk. Of course, they typically drink raw milk, not pasteurized, which totally screws it up, but getting a safe source of raw can be very tricky and requires living in state where it is legal to do so. So if Andrew is speaking about pasteurized milk, I guess I would tend to agree, but if you live where raw is legal and you trust where it is coming from, that is the way to go!! Hi. As long as you are not facing any side effects such as gastric symptoms, the dose is fine. However we would not recommend supplements on long term. You can opt for Golden Paste. I buy a brand of Tumeric that uses Ginger with it rather than pepper. What are your thoughts on that? Will it work as well? Just to be on the safe side, however, I take my Tumeric after meals in which I add pepper to the meal. My stomach is very sensitive to black pepper so I have to be easy on the spice. Do you think Tumeric with Ginger will work similarly for those of us with sensitive tummies? I juice fresh organic turmeric root and add black peppercorn to it with coconut oil. I warm coconut milk, ad 1 tsp of turmeric and I also put 1 tsp of fresh ginger root juiced. Then I add 1 Tbsp of honey to it and drink. It is very good!! I like your “cocktail” Tena! I’d like to try it but I have a few questions, if you don’t mind. How much peppercorn do you use? Also, I take it that the tsp of turmeric you’re adding to the warm coconut milk is the turmeric mixture with the pepper and coconut oil, is that right? Lastly, how much warm coconut milk? Thank you, kindly. Ginger is a fine aid to digestion. I make ginger, turmeric, hibiscus tea with lemon and honey. It is great it you appreciate tart flavors, but you could sweeten it as much as you like. I have been enjoying this for a couple of months and it helps my mild arthritis quite a bit. But I would not forego pepper. I have not read that ginger aids bioavailabilty as pipperine does. According to Dr. Bharat B Aggarwal (who is pioneer in turmeric and curcumin research) if you take raw turmeric, you need not take any other thing at all. How great is that! you still need to take black pepper with the turmeric so the body can absorb the turmeric. and yes go ahead and take ginger with it if you want to but black pepper is what helps the body absorb turmeric. I have a sensitive stomach and have to take the turmeric and black pepper at the same time that I eat or just after. it is best to take the black pepper and turmeric with buttermilk or whole milk to help protect the stomach from getting upset. and its also a real good idea to take a good brand of plant based enzymes to help in the digestion process. I agree entirely with the black pepper. I have a cup of full fat milk with a teaspoon of Turmeric, 1/4 teaspoon Black Pepper and add Honey to taste, this on its own for my elevenses has worked wonders I do also add Turmeric and the Black pepper into my meals as and when I can. The other thing I also take is Cayenne Pepper as and when mixed in my meals also. In the two months of taking the above I have reduced my chronic migraines to vitually zero, plus my very bad acid reflux is on it’s way out too, which I have suffered for 12 years. David, I have chronic migraines and was reading this thread to see if anyone mentioned it for migraines. How do you take cayenne pepper? I imagine all three of these (turmeric, black pepper and cayenne) will cause me digestive upset. As it is, garlic makes me painfully bloated and gassy. Hi Barbara. Cayenne Pepper is added in meals as and when I can, on Toast is nice, after buttering add a couple of shakes of the pepper, then I put on marmalade, it’s lovely and tangy and not too intense. I sprinkle it on lots of food.as they say a little often does you good. Since my last post in April, my Migrains have completely gone and my Arthritis is now down to a 1 at pain level of 10. My acid reflux is still slow at improving, maybe when I can tone down the pepper intake that might help.. Yes ginger is also known to increase bioavailability and absorption of various active ingredients. Also its good for digestion. Plus since you are taking turmeric with meals it will be absorbed with the help of dietary fat. I am wondering if I can’t just put 1 tsp of turmeric and 1 tsp of pepper in capsules and take them daily to ensure I am getting enough? I just mix a teaspoon of turmeric with a quarter teaspoon of pepper and add water and lemon juice every day after breakfast. If the two spices rely on one another for effectiveness, why isn’t there a single dose supplement available? There is. Have you checked Amazon? You really don’t need a supplement. 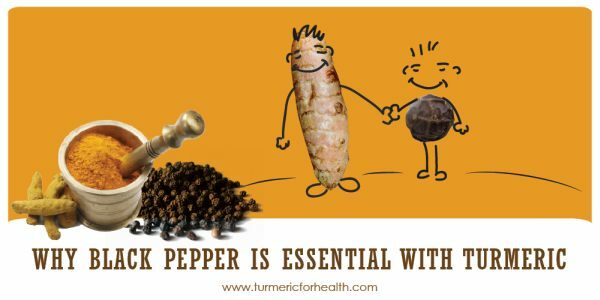 Dr M Greger recommends a 1/4 tsp a day of turmeric and a pinch or so of pepper. That is easy to incorporate into evening tea. I like hibiscus. Unless money is no object and you like taking capsules, I suggest trying to consume it daily. Cook with them or add them to processed stuff. Get them at a grocery or spice shop. There are capsule supplements of turmeric, curcumin and black pepper combined – bottled and sold by Nature’s Truth – I found it in a Rite Aid drug store – dosage is 500 milligrams – one capsule daily preferably with a meal. RIte Aid also sells the same combination under their brand name and so does GNC. I imagine other drug stores would sell the same combination too. 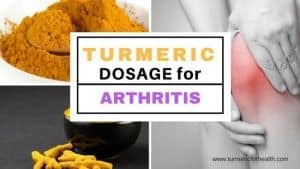 However, I find that just sprinkling a good amount of organic turmeric powder in my coffee or tea or milk, relieves arthritic pain right away! I make the Golden Paste he referred to in this article and I take it 3 times a day, 1 teaspoon at a time, more if my arthritis is bad. I started taking the paste last September 2015 and I stopped my Celebrex at the end of January! It really does work! 1 tsp of pepper would be too much. 1/4 tsp would suffice for 1 tsp of turmeric. I am sensitive to anti-depressants in that they make symptoms worse for me. How much tumeric combined with black pepper would be considered effective as a tea? KeshavK, I want to use Tumeric + blackpepper for fibroid treatment. Is it necessary that i add honey ?Any negative effect? Adding honey is fine though not a necessity. I have purchased some good organic turmeric to make this paste. I have black pepper oil and am wondering if that will work as well as the ground black pepper. If so, how much oil should I use in this recipe? it is preferable to use ground black pepper since black pepper oil does not contain piperine that is required to increase absorption of turmeric. I love to use Green Peppercorns instead of black. Green Peppercorns are softer and more flavorsome. They can be made into a paste with turmeric and mustard. When dipped in salted vinegar the become soft and can be added to green salads. The soft bite you get will make the salads more enjoyable. This is a more versatile form of Peppercorn with wider food applications. Thank you for sharing this. Green peppercorns contain piperine so you can use them with turmeric. Curry (containing black pepper and turmeric) is applied to ONIONS in traditional Indian (and other?) cooking. Delicious. Naturally, oil is used in cooking the onions. (Don’t overcook.) This is yummy. It can be applied to steak, rice, veggies … anything. I have just found this thread, have been taking an apparently insufficient cap of cucurmin for some time. I note several questions about”pepper”. Bunch of yankees! Red pepper, cayenne, jalapenos, pequins, all those hot stuff “peppers” are from an entirely different tribe of plants, and while also really good for you, as blood cleanser, digestive stimulant, on and on, are not “pepper” as discussed in relation to cucurmin. Another item that came up referred to amayldgin (sp? ), and cyanide. All seeds of the malus(apple) family contain this substance, also referred to as Laetrile, or Vit. b 16. It is widely used in alternative cancer treatment and prevention, Look it up. I have eaten almonds every day for forty years.For what it’s worth, Edgar Cayce stated that doing so would prevent cancer, period. Can someone please tell me how much olive oil to take with say, 1/2 tsp. of tumeric and 1/4 tsp. of black pepper. I can’t seem to find any articles that give these proportions. I do know that taking an oil with tumeric is important for absorption. Hi Linda, in the book “Anti Cancer A New Way of Life” by David Servan-Schreiber, MD, PhD, he says to mix 1/4 tsp turmeric powder, 1/2 tsp of olive oil, and one generous pinch of black pepper twice a day. You can put it in anything. I just drop it in a small amount of water and drink it down. I stopped trying to stir because as we know oil and water don’t mix, plus it doesn’t get all over everything. I hope this helps. The book is worth reading, you can find it at the public library. I read a post that says 1/4 tsp. turmeric with 1/2 tsp. olive oil and a dash of black pepper. The oil should be sufficient to mix the powders so that should be around 1/4 tsp or less. Turmeric – especially curcumin its chemical compound – contains potent antiviral, anti-fungal, anti-cancer and anti-bacterial properties. Researchers are trying to find new ways to contain a flu pandemic especially in overpopulated developing countries. One such way is to have adequate supplies of antiviral agents and vaccines. Inexpensive antiviral agents like turmeric are being widely studied – especially their ability to contain an infection. Among the many agents studied is curcumin, which has cell signaling effects which could prove beneficial. Laboratory studies found that curcumin reduced viral replication of 90% and more of cells infected by influenza virus. It also displayed an ability to protect infection from spreading to other cells. This ability to halt replication of microbes and viruses means that turmeric could offer therapeutic benefits in treating flu. Can I use freshly ground white pepper instead of the black? Since it is from the same plant as the black, but is fully ripened before picking, does it contain the same amounts of piperine as the black? I find I like the taste of white pepper better in my morning oats with turmeric and cinnamon – topped with a splash of homemade kefir. White pepper does contain piperine but we are not really sure if this would help in increasing bioavailability. I sprinkle Turmeric and black pepper into a mug of hot oat milk, which is naturally sweet and contains rapeseed oil, its a great drink. I find l am more alert and have more energy, wake up better in the morning, and feel more randy, (sorry about that), perhaps it’s like they say, it’s all in the mind. Great to hear that turmeric is benefiting you. Does taking chilli flakes with tumerick have the same effect as black pepper? Black pepper contains piperine that helps in absorption which chilli flakes do not contain and hence cant be replaced. Yes it is fine to take turmeric with fish oil. I use 1/4-1/2 tsp of Tumeric powder and 1/4-1/2 tsp of black pepper mix in 1 oz of water in a shot glass and guzzle it down. I love it! Yummy! You need to mix w/oil to make it bioavailable. I buy a packed of tumeric powder and black pepper powder..half tsp tumeric and 1/4 tsp black pepper…simple as that i put it inside my mouth with a teaspoon and drink water..1 in the morning and evening..not time consuming in preparation…in the office i drink green tea no sugar and a half tsp of cinnamon powder in it..the effect is awesome my body pains are gone and it boost my energy! I find the best way to have a hit of turmeric and black pepper, is on a fried egg every day. I also add a bit of curry powder to add a very nice flavour. Best eggs ever !!! Fried in a little extra virgin olive oil of course. how would you make a turmeric tea with the black pepper? Hi Judy, there is no rule here. You can just grind 2-4 peppercorns and add just before drinking. does the black pepper have to be ground right before you make the drink or can i buy the pepper thats already been ground? ive just bought some black pepper powder, will it still be effective? Freshly ground black pepper would be better since its active ingredient piperine is volatile and is lost easily. Hi, do you have a link or a reference to the studies you mention. When I drink my tumeric and black pepper tea, I crush my pepper. Do I have to swallow the crushed black pepper at the end? Also does Red pepper contain Piperine? Hi you can take black pepper 30 min prior to taking it along with turmeric. I’ve made up my Ian capsules w about 300-400mg of tumeric & 100-200 mg of fresh ground black pepper (all organic of coarse) u think this will be suffice? Yes you could limit black pepper to 100mg. My doctor told me that it does not, to only use black pepper with turmeric. Proportioning is my question! I have been making a drink with Organic Apple Cider Vinegar (with the mother), Turmeric, cayenne pepper and a splash of pineapple juice. What can I do to improve this formula….The vinegar has had an effect on energy levels to be sure. Ifn case you are using this for inflammation removing sugar (which is in pineapple) will be good. Cayenne pepper does not have piperine as far as I know so it does not help like black pepper does for absoprtion. So replace it with black pepper. Great! do share feedback how it goes! I use the ACV with turmeric, cinnamon, black pepper and coconut oil. I think its tastes a lot like honey mustard, and I take it straight off a spoon, twice a day. Much easier to get down than sipping a tonic. Can you share what measurement your using for each ingredient added please? in response to your question; I have heard that you need to take 1/2tspn of black pepper along with 1/2tspn of turmeric? good luck! 1/4 cup !!! I think you got that wrong. Fox and friends had a doctor on this morning’s show, (today is October 15, 2015) they were talking about “brain fog” he was recommending a half teaspoon of black pepper, and a half teaspoon of turmeric mixed in water. I’ve been at least three hours now trying to get the article from the show, but there’s no place to click on it. Anyway, that’s what he was recommending. And he wrote a book about it, but I don’t know who “he” is. Dr. Mike Dow. Author of the Brain fog fix. You can find it on Amazon. That’s what brought me to this blog. Ok, the idea is not black pepper in itself but in fact its most active constituent which is piperine. Piperine makes up 5% of black pepper. afaik there is only one study (which you could have found on the web) which triggered the hundreds of website advising people to add black pepper to turmeric for therapeutic use, in that study bioavailability of curcumin was multiplied 200 times by adding 1% of piperine to the curcumin. Curcumin makes up 3% of turmeric. So one rhizome of turmeric that weighs 10 grams yields 300 mgs of curcumin so you’d need 3 mgs of piperine or 60 mg of black pepper. I have no scales for such tiny weight measuring but I think a medium sized peppercorn should weigh somewhere around 10 mg. I found that article. http://www.ncbi.nlm.nih.gov/pubmed/9619120. Here’s the key sentence: “in humans after a dose of 2 g curcumin alone, serum levels were either undetectable or very low. Concomitant administration of piperine 20 mg produced much higher concentrations from 0.25 to 1 h post drug (P < 0.01 at 0.25 and 0.5 h; P < 0.001 at 1 h), the increase in bioavailability was 2000%. " Thanks for pointing it out. Since pepper is 5% piperine and turmeric is 3% curcumin, and only 1% of piperone is required, a gram of turmeric would require no more than .01 grams (10 milligram) of pepper–indeed, a lot less, since pepper is 2/3 stronger in piperine than turmeric is in curcumin. That's a very small quantity of pepper. I am very sensitive to pepper, but even I manage to take that much. The other thought from reading other posts is to get curcumin powder mixed with pepper. How much of this would I need? any thoughts? Thank you! Hi, yes its a good idea .. do make sure that you eat then just before or just after meal which has fats. Fresh turmeric will be moist and most probably ruin the capsule. not to get off topic but please read up on ahcc as well. they are giving it in 400 hospitals to prevent the spread of mrsa. it is shitake mushroom; anti-inflamation, antiviral, antibacterial and anti fungal. i thought i would have to go to the emergency one night as the day went by i had a bladder infection that was worsening. i took six ahccs when i got home from work, six more before bed and six more when i woke up and it was gone. it builds the immune system and it might help you Merina. I don’t work for them and get nothing from sharing this information except knowing that it might help others. it is expensive but not when everything is taken into consideration. they give it to cancer patients to avoid the negative effects of chemo. It can be given to cats too for uti. i saved myself hundreds of dollars and after only a day my cat was not revisiting the litter box. it’s quite miraculous. For taste. Chop an onion in pieces that are not that small. Put butter and coconut oil (which raises butter’s smoke point) in a pan and cook onion slowly on low heat. When onion is translucent, stir in curry to taste and some black pepper. I use Sun Brand Madras curry. The onions are delicious and can be eaten by themselves throughout the day. You can put them on bread, pita bread (maybe with some grated cheese), or served with rice or meats – or anything, even tacos. Cook the rice with fresh garlic if you make a meal of this. Lots of it: a head to a dry cup of rice. Start the garlic in butter and coconut oil, put rice in dry to soak that up, then add the boiling water. Good luck getting the poison out of your day. Let’s compare the powder to supplements at the highest intake. Supplements are usually 95% Curcumin extract. So if we take 3g(3000mg) powder, it is: 3000/100*4 = 150mg Curcumin. Yet if we take 600mg of supplement at 95% Curcumin it is: 600*0.95 = 570mg Curcumin. So that means that with these ranges you get 3,8 times the amount of Curcumin with the supplement. Am I missing something? I love Tumeric and put it in my salad dressing, soups, meats, and even my hot teas.. It’s good to know that adding pepper to most of these will help tremendously. Thank you! I usually mix black pepper mixed in with the turmeric powder and wonder how much black pepper should be included for a teaspoon of turmeric…or does it not matter as long as some is sprinkled in the turmeric? Also, is there different turmeric brands that are better than others and also, is it better dollar-wise and quality-wise to purchase from a site online or directly from an Indian store in my area? Thanks very much. Trust certified organic brands if you have no clue which one is best. In India we buy it from normal store as its available everywhere, that may not be the case with you. I have had lots of trouble getting a blood pressure medicine to work. When I went fo the store to refill my Tumeric and Celery Seed the first time I couldn’t find the same brand so I asked the clerk to help me. They are so helpful there and when she handed me the bottle she said ” are you taking Piperine with it”. I said no and she said I should. I want you to know that miraculously all of a sudden my blood pressure came down for the first time in 4 years of trying different BP meds! I think Piperine also enhanced all my meds. Hi Paula, thanks for sharing your experience. So are you off BP meds now ? I use approx 1 inch of fresh organic turmeric plus 1/2 teaspoon of crushed organic black pepper in my daily smoothies. Question: is my mixture or the golden paste more effective for the body to absorb the turmeric? Hi, i think so as black pepper has piperine which enhances its absorption vis-a-vis taking turmeric as it is. I am simply amazed by the healing I have come through since I began drinking my latest concoction of tumeric, thulsi, kerala, and black pepper (which i substitute with meethi) powder in the evenings. all my osteoarthritis associated aches and pains have vanished! i had a lymph node which had flared on my left elbow. (I was petrified that it was cancerous), That LUMP has almost VANISHED! I shared this information with my gpo, she is now curious about my herbal self treatment. now I need to monitor long term effect on my diabetes, elevated blood pressure levels and measure my cholesterol! I feel more energetic and healthy too. Hi Andisha, your combo looks block-buster. Basil is well know for healing properties and then you have turmeric and karela too! Awesome .. Can you share the recipe please with a pic if possible? It will help others. You can just email me. It is a major block buster for me most certainly! Mix in about. 25mls of boiled and cooled water. Let it stand for 5 mins and drink in one gulp! Sent via my BlackBerry from Vodacom – let your email find you! Is it ok to put turmeric in normal black tea with milk which we have regularly. I tried that this morning. Boiled the water; added some turmeric powder- half a teaspoon, some grated ginger and some black pepper powder, then added the tea leaves- two and a half teaspoons and allowed to steep for about 2 minutes, added a glass of milks and allowed it heat up for a couple of minutes. It tasted wonderful. My query though is – whether it has any health benefits. Yes, there should not be an issue here. Turmeric, ginger, BP and even tea have health benefits. Hi Andisha I was reading about what you mix on your drinks I’m having also problems with Lymph nodes . Can u please email me what other things I can do to improve my health . Hi Andish Maharaj, what is your concoction? Do you juice these? Are those ingredients for your “concoction” powder? And, what are your measurements of each ingredient? My husband has such joint nand back pain. I was looking on line for measurement of tumeric and black pepper (I bought tumeric in powder and I have whole organic malabar pepper from India I am going to grind and put in capsules. However, I am interested in yout concoction as well. Thanks for any info. where do you find all of these ingredients ?? I have regular black pepper and tumeric powder, had lkneee replacement, would love to try this for pain relief.. I always have turmeric and black pepper in my black coffee, usually twice a day. Any disadvantages? Hi, I am not sure of turmeric’s interaction with caffeine. Drinking turmeric tea is considered a popular option. I have just begun having joint pain (onset of arthritis?) in my right hand middle and ring finger. My friend told me she takes a shot glass with 1/2 tsp (2.5ML) of tumeric, black pepper, ground ginger and a dash of cayenne pepper mixed with little water and a squirt of lemon juice. My question is this, I’ve been using ground black pepper and have read it is not as good/pure as whole pepper corns. Making the switch to using whole peppercorns is fine but I wonder if I can just put whole peppercorns into my shot glass potion or do I need to grind them up first? The latter is obviously more work but if swallowing them whole is BAD/harmful for me then of course I would grind them up. Please someone help me out with this! Hi, could you please tell me, what is the difference between, Tellicherries and Black Peppercorns? I want to know in an effort to receive the maximum in Curcumin absorption. I was on Simvistatin but went off it because it was giving me loose stools. I have tried the Red Yeast Rice/coq10 and garlic capsule and also drink Turmeric tea with peppercorns in it. My ldl is up 25 points. How do I lower my ldl with natural substances. right now my ldl is 174. thanks. So the black pepper corns and turmeric powder can be mixed in milk? Hi, They can be but I would not recommend it. It may taste horrible. You can take them independently too. Like taking black pepper in salads and turmeric in milk. Many people also use turmeric in salads too. I mix turmeric in milk- but it takes some other ingredients to make it taste good. I put a little milk in the bottom of a mug and add bovine gelatin, stir until dissolved, then I fill the mug the rest of the way with more milk and heat it up. Then I add a dash of ginger, turmeric, coconut oil, honey and black pepper. The honey’s sweetness and the warmth of the milk make it taste good to me. I’m new to using turmeric and bovine gelatin but I have a mild form of ulcerative colitis and this tonic plus my daily intake of chia seeds seems to be helping! Is turmeric/black pepper as beneficial when the root is boiled, like to make a tisane/tea? I boil water with ginger and turmeric roots and whole black peppercorns and let steep for 1-2 hours (sometimes with green tea) before drinking. I have been wondering if it would be better to grind them into a paste and mix into tea or something similar. Hi, both things are great. There has been no definitive reason to say one better than another. In India we put turmeric in curries which are heated / boiled. Under “Precautions” it states no more than one tsp of black pepper should be consumed per day. I would suggest one tsp of black pepper and two to four tsp of turmeric and mix them in a glass of water and drink it down once a day. The peppercorns will not dissolve (you can cook them for hours and they’ll still be whole). I believe they must be powdered to be beneficial. HI Lorraine, black pepper will ensure turmeric is absorbed else it will just get and get out without much help. Yes, thanks Keshav, thats why I take black pepper, in oil form with my turmeric as I prefer the concentrated amount I can get compared to how much I could tolerate of the powder. Your link is very helpful and interesting. I suggest you try Black Pepper oil…I find this is the best way to get pure pepper into the system. Lorraine: Can you tell me how much Oil of Black Pepper you use. I make a smoothie in the mornings with spinach, kale, various fruits, etc. I usually add approx. 1 1/2 to 2 tsps of turmeric and about 1/4 tsp of black pepper. This is all them mixed in my Vitamix blender. The problem I have with this is this is a cold drink and much of the pepper settles at the bottom of my glass. I love the taste but the last sip and 10 times the pepper and is quite spicy. I’m thinking that the Oil of Black Pepper would alleviate this problem. The question is how much oil. I use a pure oil from Wyndmere Naturals and it is very potent. Any suggestions? Diabetic patients can consume turmeric or pepper or both together mixed in any vegetarian food. They act as preventive measure for many ailments/diseases. I am looking for something to use INSTEAD of the black pepper, as i have a sensitivity to it. Any suggestions on something else to enhance my turmeric? I diffuse essential oil of turmeric and black pepper in a 2:1 ratio. I add fresh turmeric root to my smoothie every morning to reduce inflammation and for general health benefits and I have 2 questions. 1) Do I need to ingest black pepper at the same time as the turmeric or can it be throughout the course of a day? 2)How much turmeric root would be equivalent to 500 mg? Approximately a half inch? Inch? Thanks so much!! Yes, you need the turmeric and black pepper to be digested at the same time. Sounds great could you share your recipe? 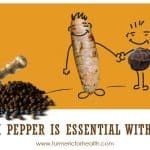 Hi just happened across this website, this is all very interesting I’ve started trying to have ground turmeric daily and only just learned about the black pepper combination. I also read that you have to be careful if taking turmeric on an empty stomach as it thins the blood and so could lead to becoming light headed? I now have after breakfast a hot drink of fresh squeezed lemon, honey, some boiled ginger (if I have it) with ground turmeric (1/2 tea spoon), cloves (also good I gather) and now a couple of peppercorns (guessing on the amount) and it’s lovely (but sometimes I add the turmeric at end and down it!). I’m just wondering if once a day of 1/2 a tea spoon is enough for benefits?? I don’t have any specific conditions but assume it would be good for the tummy/intestines and I do get melasma on my forehead in the sun, which I read turmeric is good for(?) So would it be good to increase from 1/2 a tea spoon for prevention benefits? Any thoughts appreciated.. and does it make a difference whether organic or specially ground turmeric or is all ground turmeric basically the same? Thanks. My wife and I take our “power punch” drink in the morning. The mix I have created, which tastes very nice too, is 10 tablespoons of Turmeric. 1 of Ginger powder. 1 of Black Pepper and 1 of Cinnamon, All shook up to mix well. Take approx half teaspoon of this mix in a glass of almond milk. This is awesome, can i include this on my recipe page! This sounds like a great concoction for me because some of the other methods people are using don’t appeal to me which has left me wondering about realistically fitting this into my diet . I don’t prefer almond milk. Do you think it’s okay to substitute soy milk or coconut water? Thanks. Almond milk works best. The others are too watery (ie, not fatty enough), but if you don’t mind drink the spices straight when you get to the bottom of the glass, go ahead. I’ve been putting ground black peppercorns on my dinner the last week but I’ve got reallyt sore eyes, puffy bloated face – does this mean I’m allergic to it – had it a few months ago and was fine and this is the only change to my diet. Wouldn’t care it does help to flatten the tummy. Would turmeric on its own flatten the tum help with weight loss or will I get a similar reaction to it. Have to stop black pepper till my face goes back to normal – would blackpepper do this? If so – anything I can do to stop this happening. So annoyed because it obviously spices up a very bland diet. Hi, sorry to know that you are facing issues. As such it is difficult to say what caused the reaction, maybe a doctor will be your best bet to know that. Regarding turmeric – it is considered to be absolutely safe, but everyone’s body is different. So I will suggest you try it in small quantities for a few days and see if there is anything unusual. You can include coconut or olive oil – fat also helps in absorption of turmeric. Yes, do not exceed the daily safe limit! Hope this helps. Does eating cayenne pepper work with Turmeric in the same manner by any chance? I dont think so as what makes black pepper good is substance called piperine which is not in cayenne pepper. At certain levels Tumeric is a hepatoxin, isn’t adding pepper like taking 2000X the dose? Isn’t that borderline dangerous? Hi, that’s why taking turmeric as a spice is much safer than taking them as supplements. In supplements one tends to take large dosages which may harm. As a spice the quantity is too small to cause harm and thus just benefits. My question is will just plain black pepper like the kind you sprinkle on an egg work? And have you tried 1/2 teaspoon of each mixed with water? HI, I was taking 10 mg per day of piperine for the last week, but now I need to be sedated in 5 days for an endoscopy/colonscopy. How long before a procedure should I stop using piperine? I’m concerned obviously because piperine inhibits the major drug-metabolizing enzyme CYP3A4. I was hoping if that it wouldn’t affect the sedation potency. I wonder if a full 5 days off piperine (piperine free) before the endoscopy and colonoscopy is enough and will CYP3A4 will be uninhibited by then? Any opinions or links to resources would be much appreciated. Hi, my advice will be to discuss it with your doctor. I would adhere to what he says at this point of time. Hope you get well soon! Hi and thanks for the prompt reply. I will certainly discuss this with my doc. Although I would still like to know what the inhibition time frame is of piperine. Does piperine destroy the enzyme cyp3a4? or does it simply inhibit it allowing the enzyme to reactivate after 24 hours etc. I wonder if there is any literature on this. Why does nobody mention FRESH turmeric? Its the natural choice. It looks like a darker version of ginger. Non-organic it should be $5-10/lb and organic quite a bit more but who cares? You eat so little. Always try fresh first. I wonder if anyone grows turmeric? It takes a long time to get something edible. About 10 months apparently. The raw stuff is really amazing, powder just doesn’t compare. Ginseng takes around a decade to fully grow and ripen and so is a non-bit of a non-starter. Others however are extremely good growers (some need greenhousing for a while to get them going if you live in a colder climate but they are all perfectly feasible.) As with most vegetation it’s getting the first crop that’as the tricky one. I have been growing turmeric for several years now and add about 1″ of a rhizome into my green juice. It is an odd rooty taste not as appealing with ginger, but with either apple and/or pineapple, ginger and lemon juiced in, it is quite delightful, esp if you have a green star juicer, it makes juice as smooth as wine. I use fresh ground pepper a lot … that being said I still notice recently some of my finger joints are hurting when I wake up. I doubt if anything will give you relief if the instigator of your joint problems isn’t drastically reduced or eliminated. Focus on protein (the lower the better usually) and sugar, even fructose from fruits. Obviously cooked oils are out. Try mono or instinctive eating. Then by eating one food per meal you’re better able to judge reactions of your body to it. Joint problems can occur quickly but often take days to subside so we need to be patient. Are you growing the turmeric inside? Barbara, would you let me know where can I get the seeds or the roots to grow myself? I Grow my own Tumeric, freeze it (it lasts forever frozen), cut it into pill size chunks (easy to swallow) and have swallow about 3 grams per day with a couple of whole peppercorns. Im not sure how well it works if its not ground down, If our bodies can break down steak and thinks i dont see why it cant break down a small chunk of Tumeric… but i am no expert! I live in the tropics and Tumeric grown great up here! one plant gets you a massive amount of Tumeric! you can always order a plant online! Can you find it in some place like Whole Foods? Fresh Tumeric? I personally don’t care for the taste of turmeric, but I eat it daily as a medicine. Here’s what I do. I buy the ground spices turmeric, ginger, black pepper, and mustard powder, and also natural cocoa powder at the grocery store. I also get whole natural flax seeds at the grocery store (found in the area where they sell flour) and I grind up 2 tablespoons of them daily in a coffee grinder. I take 2 tablespoons of ground flax seeds, 2 tablespoons of turmeric, 1 tablespoon of ginger, 1 teaspoon of mustard, 1 tablespoon of black pepper, and 1 tablespoon of natural (unsweetened) cocoa powder, and then I put them in a bowl and add just enough water to mix them into a thick paste. I then swallow spoonfuls of the paste, chasing it with a big glass of water until the paste has all been eaten up. I’ve been doing this for years. My joints no longer hurt. I am no longer constipated. I also eat raw apricot seeds. I grind up 2 or 3 of them in a coffee grinder and add enough water to make them into a paste, and then just swallow spoonfuls of them, chased down by water. And good old baking soda. I try to drink about 1/2 teaspoon in a glass of water every other day. The key to fighting cancer is prevention. Try to prevent it if you can. great! Thanks for sharing .. Your turmeric mixture sounds quite interesting, and I will have to check it out. When you say you eat apricot seeds, do you mean the apricot kernels? I know there is a Chinese herbal mixture that uses very small amounts of apricot kernel that is beneficial, however, the general wisdom is that apricot kernel is unsafe to take by mouth or as an injection. It contains a toxic chemical known as amygdalin. In the body this chemical is converted to cyanide which can cause serious side effects, including death. I would suggest caution with apricot. you can’t eat enough amygdalin to cause bad side effects unless you are shoveling it in your mouth in huge doses. The only cells in the body that separate out the cyanide in the amygdalin are cancer cells. Vitamin B12 also contains cyanide (cyanocobalamin) but just as with the amygdalin, it stays bound up and doesn’t harm normal cells. Some amygdalin rich foods are: apricot kernels, apple seeds, bitter almonds, flax seeds, cashews, millet. I now chew and swallow all seeds of apples I eat, and eat a breakfast of cooked millet (w cinnamon for flavor) with chia seeds, fresh ground flax seeds and cashews. Cheap insurance! Yes, raw bitter apricot kernels. I’ve been eating them for years with no problems at all. Will they be effective at preventing cancer? Who knows, but I felt it was worth a try. Thank you Bob for useful info, as i read about apricot kernels, it is safe to eat 6-8 raw kernels. Do you eat that amount (2 tablespoon turmeric etc) every day? Yes, almost every day. Sometimes I am too busy to bother with it or I am traveling and have no access to it. But almost every day. I now add this to my daily health regimen… After all those spices have been chased down with water, I eat a tablespoon of pure almond butter (just ground almonds and salt) and a heaping teaspoon of virgin coconut oil. I find that it helps with keeping me from burping up turmeric, plus almonds are great for you and virgin coconut oil is also very good for you. Lots of MCFAs in coconut oil. Just make sure it is virgin coconut oil and not the refined kind of coconut oil. It should still smell like coconuts if it is the real thing. Seems like an excellent tonic, what good effects do you feel from taking it ? And did you have a condition for using it? I had horrible joint pain and a family history of cancer, so I thought I would try to kill two birds with one stone. So far, no more joint pain. As for cancer, I’m keeping my fingers crossed. It can’t hurt, and who knows, it might prevent me from getting cancer. As my posting and your answer to me? Yes, I was simply replying to your question to me. You asked me a question one month ago. And if you did not post the question above to me about a month ago, you might want to change your password because your account may have been hacked or hijacked. It seems like the previous post from about a month ago may have been written by someone other than you. Hi Bob, how long have you been taking the pepper/tumeric combo? Good for you Bob! Don’t forget to add pepper to your Turmeric, for absorption and optimum benefit of turmeric to fight cancer cells. Bob you say you don’t care for the taste of turmeric. I agree. Have you ever tried just curcumin powder? I’m sure you know that curcumin is what has most of all the nutrients in turmeric. It is a sweet taste as well. If you want to prevent cancer, alzheimers, heart disease, Arthritis, heals liver and kidney and many other diseases and ailments, then curcumin is the way to go. Normal dosage is 1gram, or 1 rounded 1/4 teaspoon. Yes it costs more but you aren’t consuming unneeded turmeric that you are buying, and it does the healing much quicker than turmeric because all of the antioxidants and other anti’s in it. I get mine on ebay which have many many pages of the product for sale. I paid 51.00 for 500 grams, at a gram a day is 1 year 4/12 months. There are many different amounts you can buy. 5 grams on up to over 1000 grams. Pretty cheap for a product that does all that healing, sweet tasting and no side effects. You might want to do some research if you haven’t already, you will be amazed of all the benefits it has medicinally. Good luck Bob. Let me explain by some examples. To get Vitamin A we would prefer vitamin supplement than maybe having an Apple. We would pop-up a Vitamin C pill rather than having an orange or lemon. But that supplement is no where in comparison to an Apple / lemon / orange. Similarly, turmeric is much more than just turmeric. I always recommend taking good quality powder unless you have no other choice left. I think you have totally misunderstood me KeshavK. I hope you wasn’t thinking that I was recommending turmeric supplements over powder, because I wasn’t. You are right, Supplements have no where near the nutrients that the powder has. I USE THE POWDER, Only I don’t use turmeric powder. I use 95% CURCUMIN POWDER. Why, well you should know that turmeric only has 3-5% CURCUMIN in the turmeric. My experience leads me to believe that the active ingredients in the Curcumin is what gives turmeric its healing powers, even thou it is only 3-5% in the turmeric. That is why you have to take 1 to 2 teaspoons of turmeric a day to get the benefits of the curcumin that is in the turmeric. I take 1000 milligrams or 1 gram of curcumin powder a day, which is the normal dosage of the curcumin, which is a lot less than 1-2 teaspoons of turmeric powder. The reason is because of the active ingredients in the Curcumin, which is what does the healing of the body, are called curcuminoids is what does the healing. Not turmeric. There are 3 of these ingredients. One is curcumin, demethoxycurcumin and bisdemethoxycurcumin. Any good curcumin should include ALL 3 CURCUMINOIDS and should be standardized to at least 75%. Otherwise what you could be getting is powdered turmeric root which does NOT have the healing powder of curcumin powder. Again the normal dosage of Curcumin powder is 1000mg. which is 1 gram. I use a digital scale to measure my curcurmin. Feel free to research yourself what I just stated about Curcumin powder. My belief is that if a person wants to be healed much faster use the CURCUMIN POWDER, NOT TURMERIC POWDER. Don’t forget the black pepper with your consumption of the curcumin. I’m quite sure you know the use of the pepper if you have done your research. Happy robust health to you KesavK. Thank you for commenting back to me to make me aware of any misunderstanding between us. Thanks. I understand your point. I would like to interject something that may be of interest in this discussion. I think all parties are correct. Yes, it is true that a properly formulated curcumin supplement that has 3 synthesized curcuminoids in it does indeed contain much more of the compounds that are attributed with curing, mitigating, and preventing a wide range of conditions. BUT it is a common belief in many cultures that in order for any of the compounds in a given plant to work to their full potential, that all parts of the plant, or in this case, the turmeric root, must be taken together. The reasoning is that there are likely other compounds or properties within the plant that are required to fully activate the more potent compounds. Take turmeric, for example. Indians never just eat a big spoonful of turmeric and certainly not curcumin that has been synthesized from it. They say that heating turmeric helps release some of the critical healing powers. They also say that it must be combined with other spices, including cardamom, ginger, coriander, and black pepper (as in curry sauce) to ensure that the turmeric doesn’t dry out and overheat the liver. When the Chinese prepare many medicinal herb medicines, they generally include all parts of the plant (leaves, stems, bark, and root) even if the leaf is considered the most potent part because there is a symbiotic relationship between all parts and they must be taken together to get the full benefit of the leaf. For that reason, I would recommend taking the more potent curcuminoid capsules along with a least a small amount of the full turmeric and ideally combined with a bit of ginger, coriander, cardamom, black pepper. Just to be on the safe side. Can you tell me where to order these capsules? I have just recently been told that I have osteoarthritis in my heels, and it is debilitating! I’ve been put on Celebrex and do not like taking drugs. Help! Amazing healing power! Tumeric is a household ïndian”cooking ingredient whose healing power I underestimated until NOW!!! How much of this paste do you eat each day? It reads like you are eating all of this paste each day? And you are using regular ground black pepper, not grinding peppercorns? Elaine, around 1-1.5 tsp of paste is okay. Start slow with 1/4 of tsp and then slowly increase. If you are making paste you can put grounded pepper. If you want to add it at time of taking paste it is best to grind them as and when you have the paste. Will chilli sauce instead of black pepper have the same benefit? Such as Tabasco. If it has Piperine then it would. But I am not sure if a chili sauce would have it. can you tell me if itching from curcumin might be transient as im taking it for post herpetic neuralgia. Hi Karel, I am sorry but I do not have much info on this. I would suggest if you can consult a doc. as this may be from various possible reasons. Sorry, was not of much help here. Could I just take two or three peppercorns with my turmeric pill, or does the pepper need to be crushed? Robbie, you do not even need to take it with the milk at all. Just include black pepper in your regular diet (lunch / dinner / salads etc.) and that should do the trick. Also, it is also better to include turmeric as spice and not take as supplement. As long term overdose of supplements may case side effects. You can include turmeric in almost any dish you are already preparing, try it, its wonderful! I fell in love with Indian food about ten years ago, and I add turmeric to almost everything now. Not because it is healthy for me, but simply because I like the flavor, smell, texture and heat that it brings to any dish. The health benefits are just an added bonus. Tumeric powder is much cheaper than the pills when you purchase it on ebay, Just add 1 to two teaspoons to the food you eat w/ the black pepper that would suit your taste buds to sprinkle it onto, or add the teaspoons to a warm glass of milk with 1/4 teaspoon of black pepper p/ tsp. of tumeric. I buy it for about $12 a pound from Swanson’s it has 4% curcumin which is very high. Far cheaper than the pills which are a rip off IMO and are too high. I mix up a paste with yellow mustard and add a small bit of black pepper and chase it with water.I take about 2 tablespoons per day this way plus I put it on eggs, hamburger and other dishes. Bulk is the way to go as buying capsules or pills is far more expensive. There are other good online shops also vita cost, purebulk, starwest herbs. I buy curcumin powder 95%, not turmeric. on Ebay. Curcumin is the ingredient in turmeric that has all the nutrients.I only use a 1/4 tsp. of curcumin compared to a full tsp of turmeric. You say that turmeric is 4% curcumin. Yes that is right. But curcumin powder is 95% curcumin or you can get it 100% curcumin. I paid 51.00 on ebay for 500 grams. The normal dosage is 1 gram a day. If you use 1/4 rounded teaspoon of curcumin is about 1 gram. so 500 days is a year and 41/2 months. Of course there are smaller amounts that you can buy. Curcumin tastes nothing like turmeric. It is sweet tasting. By buying turmeric, and only getting 4% curcumin is a waste of money if you use it for medicinal purposes. I sprinkle it on my food and add a little black pepper with it. FiF – Thanks for the advice. I have been grinding my own Turmeric powder from dried roots for years and had great success reducing arthritis pain by using 30 grams/day. I would like to also try curcumin powder, especially now that I see how inexpensively you can buy it online. But I would like to be confident in the purity and quality of the curcumin I order. Do you have advice on that point? I see there are several suppliers on eBay, most of whom send curcumin directly from India, e.g., “herbalextractseller”. Is this what you do? Have you been completely happy and successful with the quality of your purchases? Any advice? I would appreciate any suggestions you have. shop at any Indian store… tumeric is sold very cheaply at such stores. I am fortunate that in Lincoln we have a fine Indian store called Sujis, I have purchased Masala Chai, as well as White Tea and black tea and bulk Cinnamon They carry several types of curry as well. It has been several months so will have to compare prices. One thing for sure is that Tumeric in pill form is waaaaay overpriced. People would save lots of money buying spice by bulk. 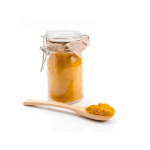 I take about 2 teaspoons per day of tumeric mixed with yellow mustard and pepper, I also take 2 teaspoons per day of cinnamon mixed with raw honey. I started this regime 2 years ago and have yet to get a cold or flu and joint pains from my 37 years in Army are greatly reduced and I thank this regime for getting me off prescription celebrex that the VA had me on. Quit mixing it with meat and dairy and you’ll fare much better. Watch “Forks over Knives” documentary. It will change your life. The black pepper needs to be crushed so you can fully digest and absorb it. Can you advise me on how much pepper I should use to make the tumeric more bioavailable? I’ve been taking capsules for a year to help with RA and it has allowed me to give up prescription meds and OTC NSAIDs as well. I just need a little more effectiveness. Thanks for any advice you can give. Kate, unfortunately there is no prescribed quantity. But one great way is to start using black pepper in your diet as a spice. That should really help and also ensure there is no side effect. Hope this helps. For every teaspoon of tumeric take 1/4 teaspoon of black pepper. Thank you for sharing your wisdom regarding turmeric and black pepper. I have experienced great benefit from both! Does Turmeric Increase Stomach Acid? 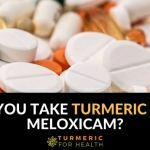 Can You Take Turmeric / Curcumin with Meloxicam? 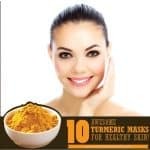 10 Awesome Turmeric Masks for Great Skin! The content on our website is for educational purposes only. Although we try our level best to provide useful and accurate information, you are responsible to research and verify information before relying on it. You must not rely on the information on this website as an alternative to medical advice from your doctor or other professional healthcare provider. If you have any specific questions about any medical matter, drug interactions or you are suffering from a medical condition you should consult your doctor or other professional healthcare provider. 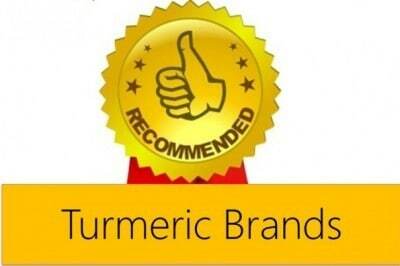 We support the use of turmeric for various health conditions in humans as well as animals. 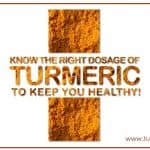 However if suffering from an acute or chronic health condition or if taking any medication, it is advisable to consult a health practitioner before taking turmeric for therapeutic purposes (applicable for both humans and animals). We are not responsible for any contraindications one may face when taking turmeric as treatment without medical advice. Why are there Ads on the portal? 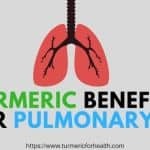 Turmeric for Health participates in the Amazon Services LLC Associates and Adsense program to provide means to cover costs associated with running this portal. This ensues that the portal remains free for everyone, always. In case you would like to get in touch with me, please email me at info [at] turmericforhealth [.] com directly.